One of the biggest problems that most roofs will face is the constant bombardment of storms. From the freezing winter storms that can dump snow and ice on your Ann Arbor roof here in Michigan to the scorching summer heat beating down on it. High winds and debris hitting the roof can also take it’s toll on the roof and may eventually cause it to fail. When your roof starts to leak due to storm damage there are some steps you’ll need to take in order to prevent as much damage as possible. You’ll also want to make inspections to the roof to see if there is actually a problem when a huge storm comes in. 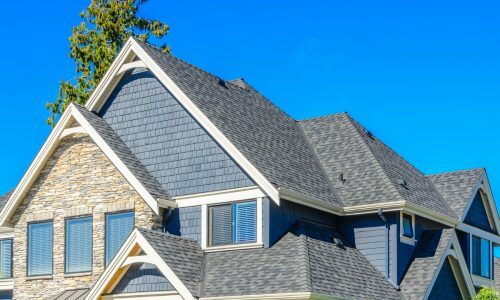 I’ll go over some of the methods you’ll need to take in this article and also inform you about a roofing contractor in Ann Arbor that can help out when you have storm damage on your home. There’s not much we can do about the weather and there will be times when major storms roll through the area but being prepared can certainly help to minimize the damage to your home if you roof is affected by storm damage. Most small storms will not have any type of affect on the roofing surface or underlying components but storms with high winds and massive amounts of rain, snow, or ice can be very problematic even for new roofs in Ann Arbor Michigan. That’s why it’s always best to be prepared and ready just in case something happens with your roof. I’ll go over more details about the steps you’ll take below. 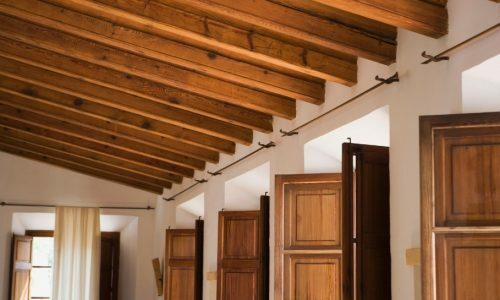 One of the tell tale signs of a roof leak is usually a brownish spot on the ceiling. It’s usually where water is leaking through the attic and onto the ceiling. Likely most of the insulation is saturated when it gets to this point. You may also notice this same type of water damage on walls as well. You may also notice leaks around places like skylights and chimneys as well which are usually culprits of many roof leaks. The first thing you’ll need to do is remove any items that are directly under the roof leak. This can include things like furniture and electronics. You may also want to roll up rugs or other home decor items. If the roof leak is major and parts of the ceiling actually start to collapse under the weight of the water it’s important not to go under the area. Falling drywall can injure you and if water has already infiltrated electronics you may just want to cut the power to them rather than risk getting shocked because of the water in the appliance. Falling drywall can injure you and if water has already infiltrated electronics you may just want to cut the power to them rather than risk getting shocked because of the water in the appliance. 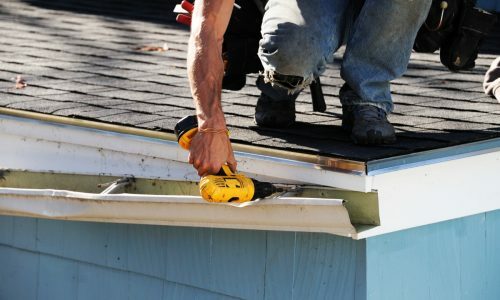 If you do have a roof leak then you should call an emergency roofing repair contractor in Ann Arbor that can either repair the leak right away or install a temporary roofing solution until a more permanent fix can be applied. Usually temporary measures such as spreading plastic or tarps over the affected area can protect the home from further damage. However, this should be done by a properly qualified roofing contractor in Ann Arbor Michigan. Going onto your home’s roof to make temporary repairs on your roof is extremely dangerous and you can be injured or killed if you fall. It’s simply not worth the risk. You don’t need to go onto the roof in order to get a better look at it. 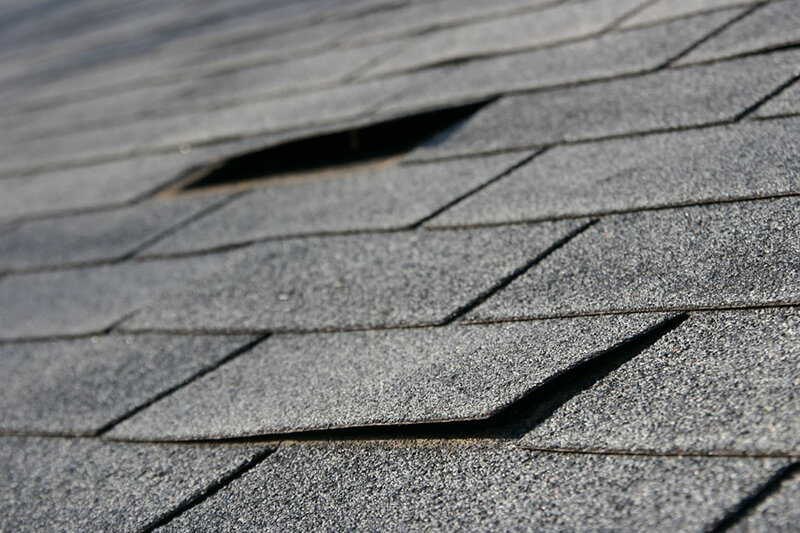 After a major storm has come through give your roof a visual inspection from the ground. Chances are you’ll be able to see any potential problems with the roof and if you need a closer look you can use binoculars if needed. If you suspect something is amiss with your roof and you want to stop any problems before they become a severe roof leak then be sure to get a roof inspection done on your home’s roof. 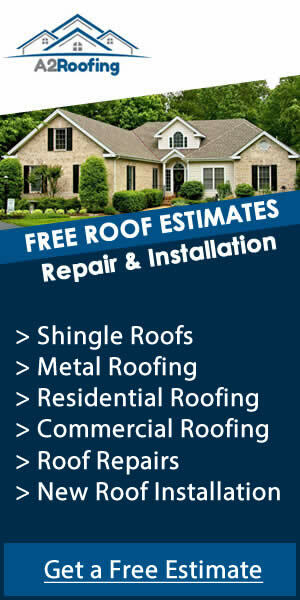 Ann Arbor Remodeling Contractor offer roof inspection services in Ann Arbor Michigan. Contact them today at 734-619-1271 for more information.